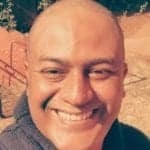 Starting with an assassination attempt and exile from his beloved town, Solly Tladi is now known as a pioneering agri-preneur, changing hundreds of lives. Solly Tladi dodged a bullet. Literally. As a young law student at the University of Limpopo an assassin was sent to put a bullet through his skull. They say no good deed goes unpunished. And, of this, Tladi’s narrow escape from almost certain death is living proof. It started out innocently enough. A young man disturbed by the innocence stripped of adolescent boys by poverty, violence and drugs, Tladi took it upon himself to start a football initiative in Limpopo that would see opportunities created for the most vulnerable in his community to find escape from the terrors of street life. Solly Tladi founded The Tladi Centre for Environmental Solutions in 2015. His dream grew into a reality at a pace he could scarcely believe. The Teflop Little Soccer League rapidly grew into a social regeneration programme of colossal importance to the town after which it was named. But what had become a sacred world revolving on an axis of love and benevolence, in the hands of greed and corruption, turned into a deadly warzone, in which Tladi would become the centre. His refusal to back down on fighting criminality in the upper echelons of the league escalated a hatred in those found guilty of financial misconduct so intense, it spawned a rancorous desire for his demise. Exile from his beloved Teflop was not a choice. 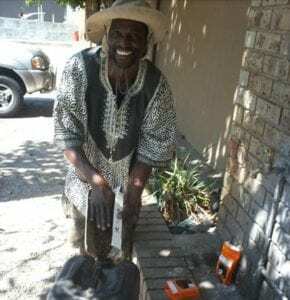 In a flash he was forced to leave behind everything he knew and loved for the foreign, big-city life of Johannesburg. However, where cynicism and bitterness could’ve taken root, the force of his humanity only grew deeper and stronger. 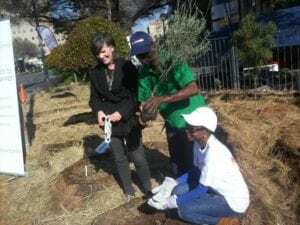 In Johannesburg the advocate for human dignity in Tladi won him a slew of new admirers and he was soon absorbed into the environmental rights sector, an area where he could continue his work towards economic growth and social justice for the poor and vulnerable. It would be some time before he would strike out on his own. 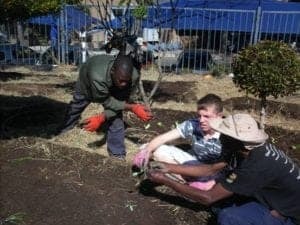 When he did, however, starting a permaculture business in 2015 – The Tladi Centre for Environmental Solutions located in the township of Alexandra – by the hands of destiny itself, Tladi would once again be elevated amongst his peers as a pioneering agri-preneur, a source of wisdom and somewhat of a hero where he now lives. In just three short years, his enterprise, which sees him supply organically-grown vegetables and herbs to a host of other businesses, as well as serve as a vehicle geared towards environmental education and advocacy, has enabled him to change hundreds of lives. In total, Tladi has already helped raise from mere dust ten flourishing organic gardens across schools and private homes in Alexandra. In addition, his approach to holistic healing with the use of herbs has seen, particularly among the elderly, a growing consciousness of health and well-being as not being the sole domain of pharmaceutical drugs. 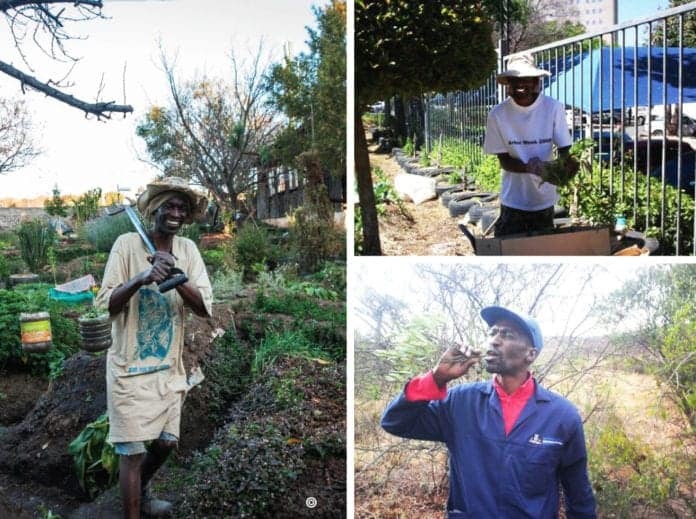 Solly Tladi supplies organically-grown vegetables and herbs to a host businesses.